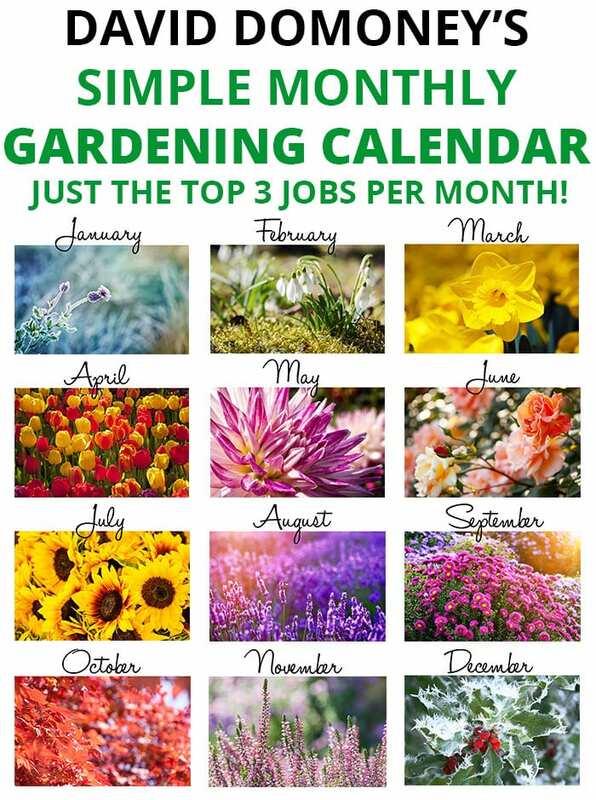 Summer is drawing to a close in September, but there are still a number of gardening jobs that are worth doing this month. Get outside to catch the last of the summer sunshine, create some additional plants for free and prepare your garden with bulbs to ensure a spectacular spring colour display. 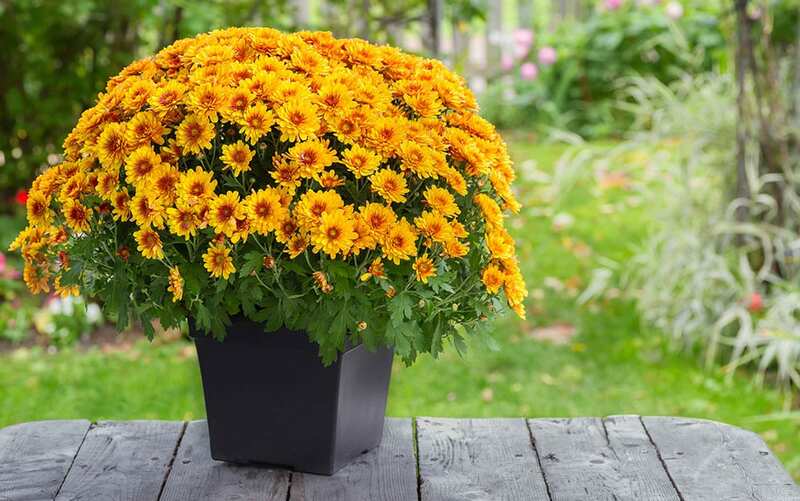 Summer-flowering herbaceous perennials can be lifted and divided in September when they’ve finished flowering, but the soil is still warm enough to aid new root development. 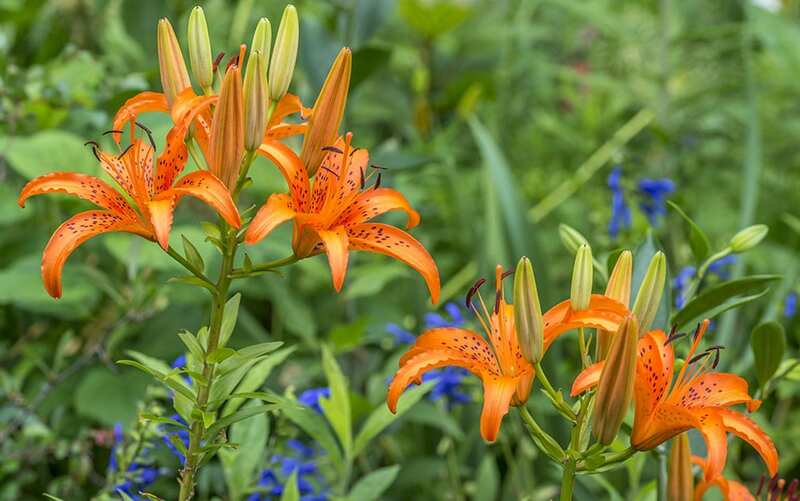 In fact, most perennials need to be divided every two to three years, otherwise they get too big for the space they’re in and become congested. 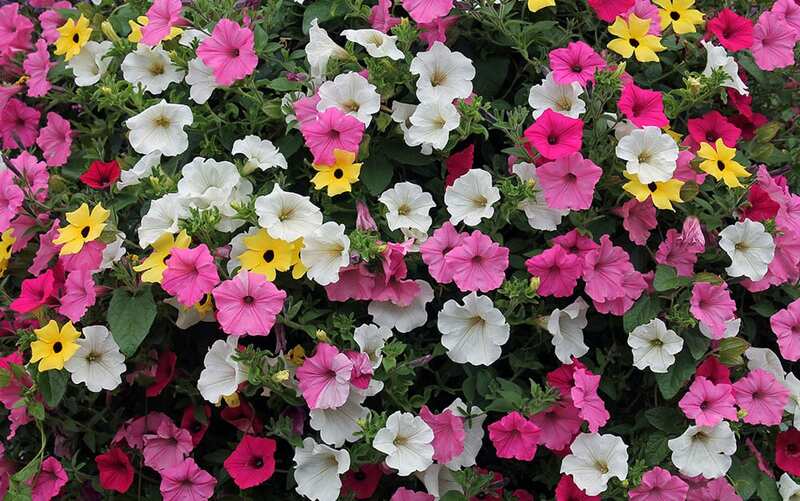 Dividing your perennials will, of course, also increase your plant stock for free! To do it, gently dig out the plant you wish to divide. This is often best done with a fork rather than a spade, as the latter is more likely to sever plant roots. 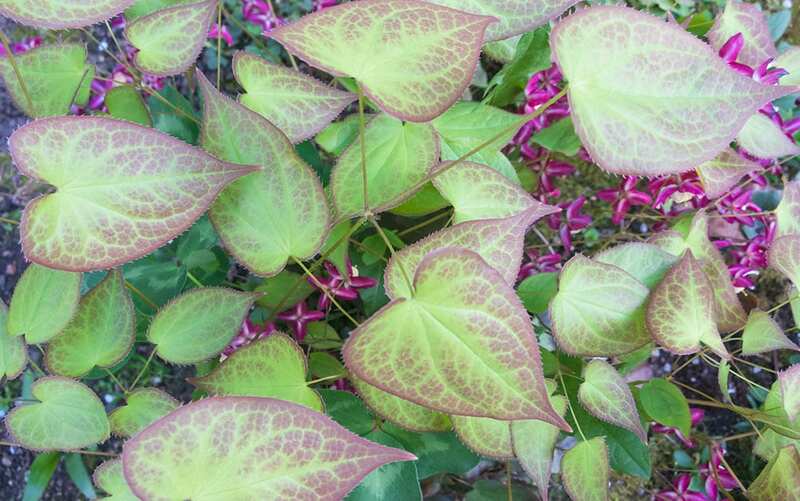 Once the plant is out, divide it in a way suitable to its type. 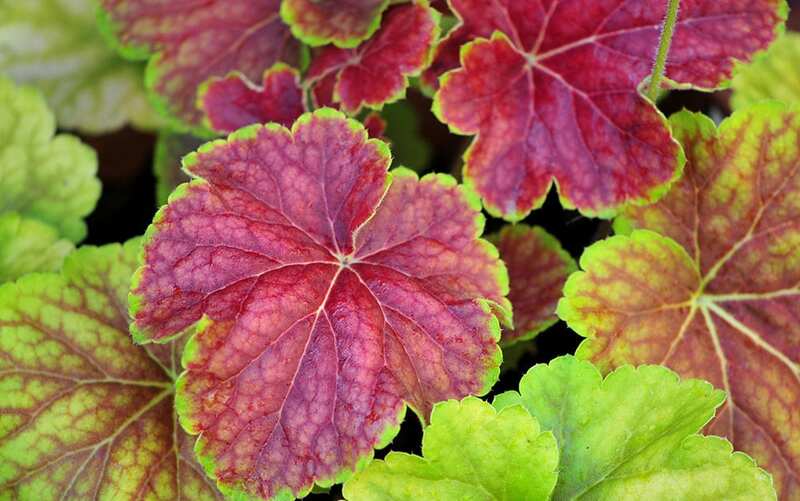 Small fibrous-rooted plants like Hosta (Plantain lily), Heuchera (Alum root) and Epimedium (Barrenwort) can be gently teased into two with your fingers, while larger fibrous-rooted varieties, such as hardy Pelargonium (Geranium) and Hemerocallis (Daylily), are best levered apart using two garden forks thrust back to back into the plant’s centre. This will separate the plant into two with minimal root damage. If the plant you’re dividing is especially big, you will need a good strong fork, like this one by Kent & Stowe, to get good leverage. 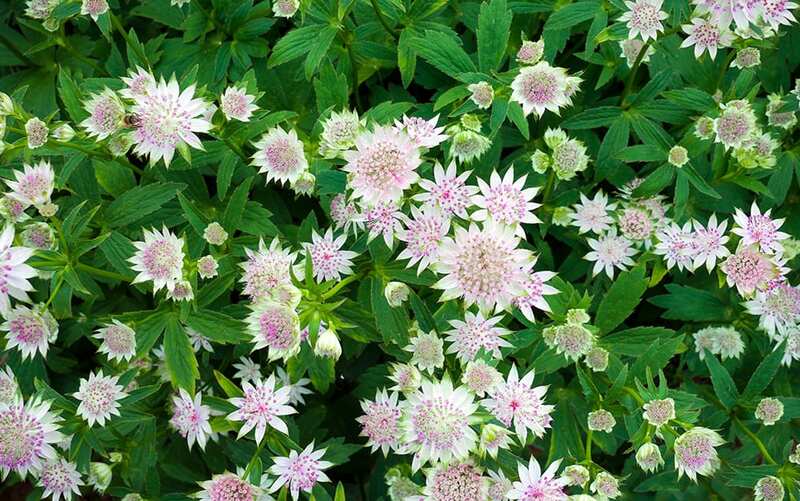 Plants that have woody crowns or fleshy roots, such as Astrantia (Masterwort), Delphinium (Larkspur) or Helleborus (Hellebore), usually need chopping in two with a spade or saw. So there’s no need to be shy with these varieties. Once the plant has been divided, replant the newly-divided specimens in your chosen spots and remember to water them frequently as they get established. They should have enough time to set root before dying back for winter, ready to burst into life again next spring. See my blog for more advice on dividing perennials. September is the perfect time to be planting hardy spring-flowering bulbs such as Narcissus (Daffodil), Hyacinth and Crocus. These bulbs will do best in a warm, sunny spot and they all love good drainage. 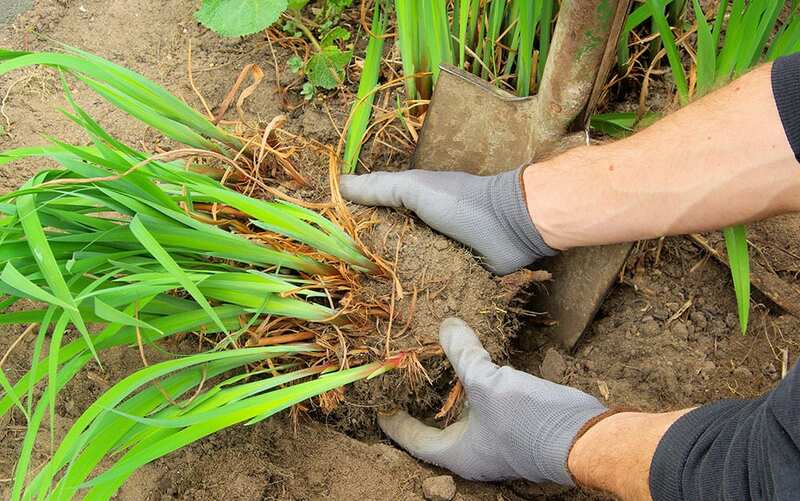 If you’re planting them in a bed or border, dig a hole about four times the depth of the bulb and put a layer of sand and grit in the bottom of the hole to aid drainage. Cover this with a little compost, then plant the bulbs under about 2-bulb’s worth of depth of soil. Try bunching six to ten bulbs together in one spot, placed one bulb’s width apart, or line a path them for an impressive display. 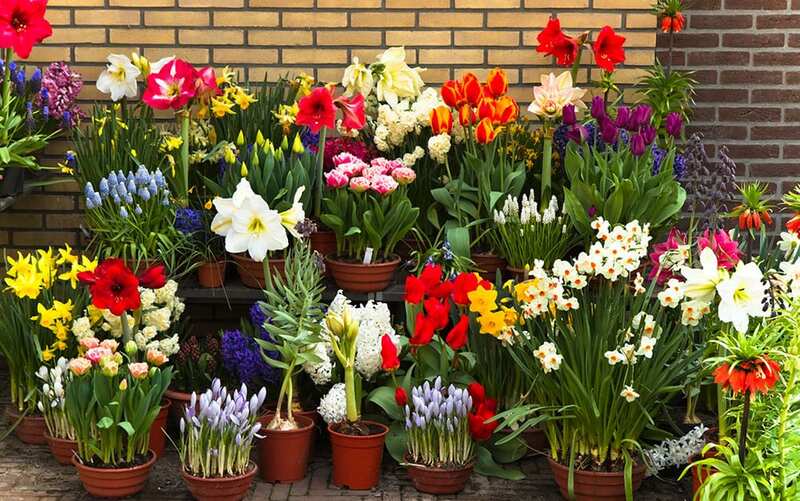 Bulbs are also excellent grown in pots, which can then be brought indoors for a marvellous spring flower display. 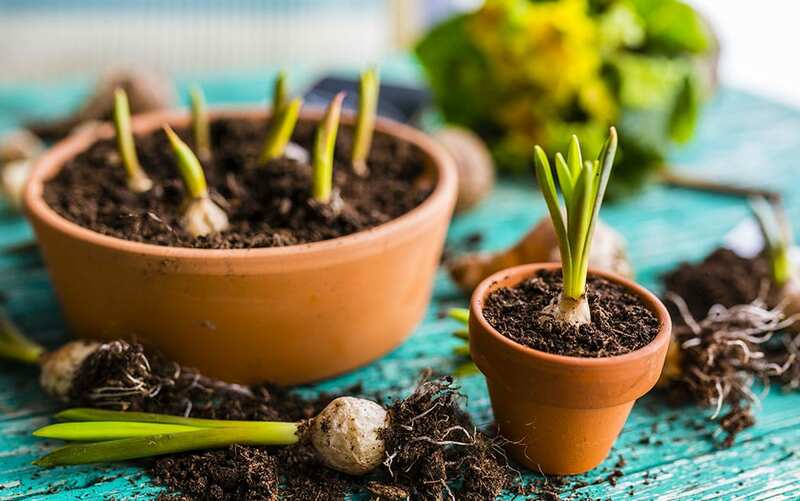 Since they love good drainage and could rot if kept too wet over winter, plant them three bulbs deep in a good quality compost mixed with horticultural grit from the garden centre at a ratio of 3:1. Especially good at this time of year is to plant bulbs for forcing. Not as nasty as it sounds, forcing is the process by which bulbs are fooled into flowering earlier by controlling environmental temperature. You can buy bulbs that have already been prepared for forcing by keeping them artificially cool for a couple of months before sale. Excitingly, however, you can also force Hippeastrum (Amaryllis) bulbs yourself at this time of year and get flowers in time for Christmas! 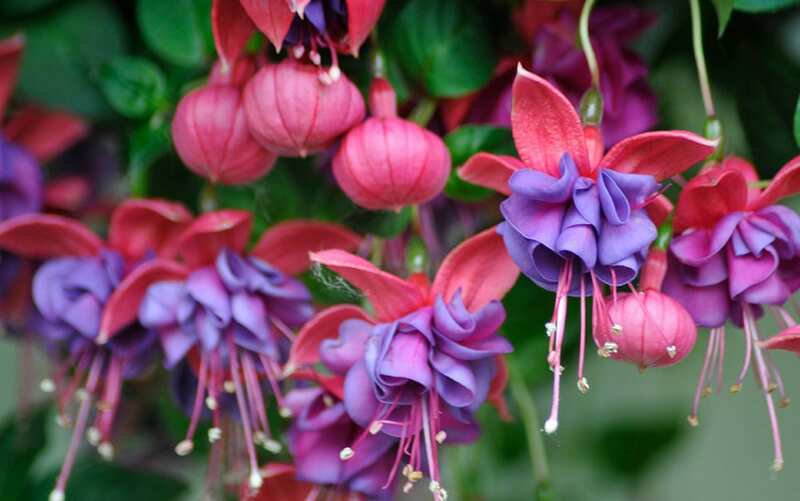 For a gorgeous festive red flower, try the ‘Belinda‘ variety. Tender perennials like Fuchsia, Petunia, Salvia (Sage), Verbena (Vervain), Penstemon and Chrysanthemum can all be propagated with cuttings. This is a brilliant way to grow more plants for nothing, and there’s something satisfying about nursing plants through from tender young shoots to fully-fledged plants for use in your own containers. 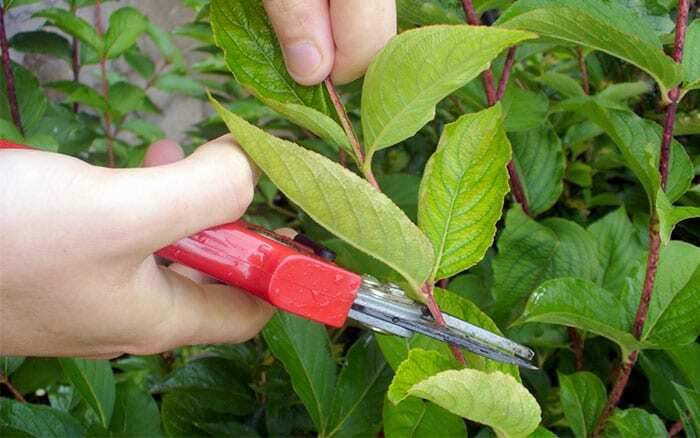 You’ll need to find strong, young growth that hasn’t flowered this year and snip it off at an angle just beneath a leaf joint, leaving a stem of 5-10cms in length. Next, strip off the leaves from the lower stem, leaving just one or two pairs towards the top. This will help to prevent the plant from losing too much water via its leaves while it has no roots to take moisture up from the soil. Dip the end of the cutting in hormone rooting powder and plant in compost mixed with a little horticultural grit for drainage. This will help to prevent the end from rotting and promote good root growth. 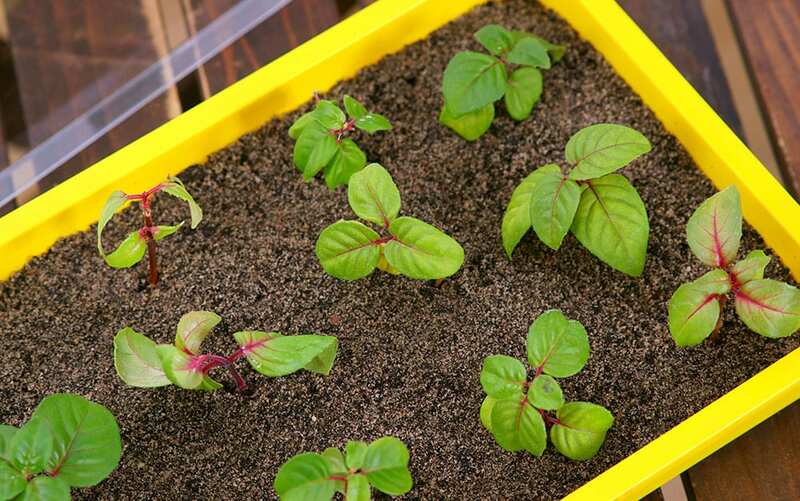 Put the plants in a propagator or push wooden chopsticks into the soil around the cuttings and cover them with a plastic bag to help retain moisture. Place the cuttings somewhere bright and warm, but keep them out of direct sunlight until roots have formed (about six to ten weeks). It’s a good idea to mist plants daily to ensure their water needs are met while they are still rootless. When the cuttings have rooted, pot on into larger containers and overwinter them in a greenhouse or cool conservatory or porch. See my blog for more detailed instructions on taking cuttings. Focus on my top 3 gardening jobs for September and you’ll have beautiful flowers for Christmas, jolly bulbs popping up in spring and lots of new plants completely for free. Not bad for a few day’s work, I think you’ll agree! Love the detailed tips on perennials.did not know a,bout the number of varieties you could propagate.going to be busy.also planting bulbs so early,usually plant these in October.thank you for details.